Take 95 South until exit 133 and follow Rt. 17 South. When you arrive at the intersection of Rt 17. and Rt. 1 turn right. Cross the bridge on Rt. 1 South and make your first left onto Princess Anne Street. 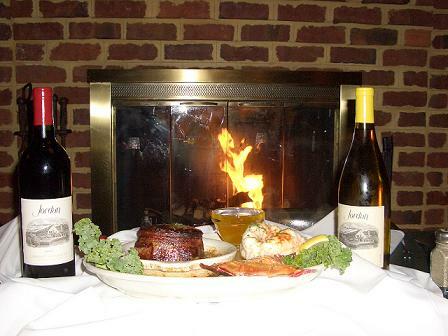 Travel along Princess Anne Street until you see Olde Towne Steak and Seafood on your left. You can either park in the front parking lot or turn left around the block which leads to the back of the restaurant. Take 95 North until exit 130 and follow Rt. 3 East. Take Rt 3 until you cross Rt. 1 North. Turn onto Rt. 1 North. Follow Rt. 1 North until you cross Princess Anne Street. Turn right onto Princess Anne street. Turn left onto Rt. 3 East.